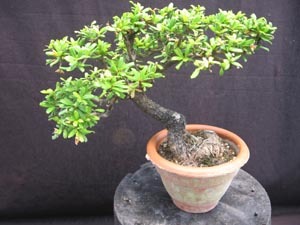 Bucida spinosa, Dwarf Black Olive. Though commonly called "Black Olive" this tree does not produce an edible olives, but rather a small seed pod. 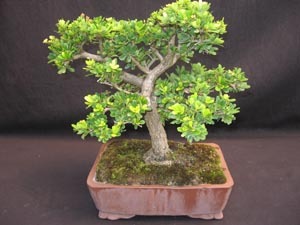 Native to the Caribbean and the Florida Keys this delicate tree grows into a bonsai almost by itself! 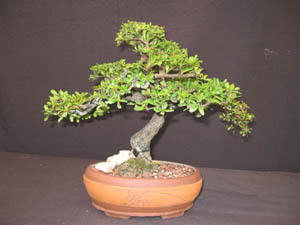 It is an evergreen tree, with a smooth gray - brown trunk, and small compact foliage. It branches in horizontal layers. It is also very salt tolerant. Beautiful miniature tree!